Thousands of noise complaints remain unresolved in Ontario. In the current edition of Ontario Farmer is this story by writer John Miner. 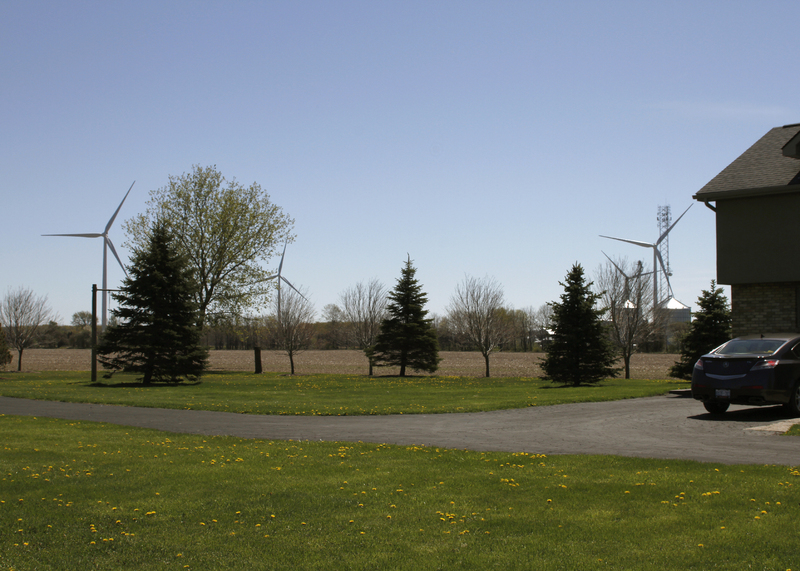 Ontario’s Ministry of the Environment and Climate Change received thousands of formal complaints from people living near industrial wind turbines, but did little about it, a coalition of groups and individuals opposed to wind farm development is charging. “People really trusted the government and they were let down,” said Jane Wilson, president of Wind Concerns Ontario. Two years after filing a Freedom of Information request for summaries of noise complaints received by the ministry, Wind Concerns Ontario was provided 450 pages* covering the period 2006 to 2014. In that period, the Ministry logged 3,180 complaints with people reporting they were suffering from sleep disturbance, headaches, dizziness and other illnesses. Some people said they had been unable to sleep for days, sometimes weeks. In some cases, the Ministry arbitrarily dismissed complaints. In others, they closed the file without investigating if the complainant quit calling, Wilson said. In a 27-page report based on the documents released, Wind Concerns Ontario said there is absolutely no indication that the Ministry took the complaints seriously, and took any steps to review and revise existing regulations and processes. based on real-life experiences of the people of Ontario. Responding to the report, a Ministry spokesperson said in an emailed statement that they take all complaints seriously and follow up to ensure that the facility is in compliance with all provincial requirements. “Our priority is to protect public health and the environment by promoting and ensuring compliance with ministry rules and requirements,” the Ministry Statement said. Wilson said Ministry staff in the early days attempted to investigate noise complaints and sometimes recommended action be taken against the wind farm, but that was overruled by more senior staff. As the complaints piled up, the Ministry started to rely ion computer modeling provided by wind farm companies to determine if there might be a basis for a complaint, the report found. “They kept saying, we went too the power developer and according to the predictive noise modeling this can’t be happening and therefore it isn’t, and took no action,” Wilson said. A standard adopted by the Ministry based on information from wind farm developers was that no one could hear a wind turbine beyond 1,500 metres. Therefore, there was no need to respond to a complaint if more distance was involved. Ministry staff were not allowed to investigate complaints at night and when there was high humidity. The equipment they had for measuring noise could not be used when temperatures were below zero degrees Celsius. “We don’t blame the staff in any way. Some of the officers really seemed to want to help,” Wilson said. Wind Concerns Ontario is calling on the Ontario government to halt wind farm approvals and adopt tougher noise standards. Wind Concerns Ontario also hopes to be able to meet with Ontario Minister of the Environment Glen Murray to discuss the report. Again there folks the government does not want to interfere with their clients business… even though there are now 1000s of complaints being brought forward …. it’s still better to just keep the government’s clients happy…. f@$k The rural people and their health issues….. we need to produce as much power as possible to export to the governments’ clients clients for nothing….. it’s just fairer that way…..
Something is broken with the MoE&CC. I reported health issues in time with wind turbine operation and site specific, shared all observations and they did nothing. Before we can even discuss whether my health has been impacted by wind turbine operation, we need to resolve the question, why are they not acting to fulfill their mandate to protect communities? The government of Ontario is not willing to recognize or act on any of these issues because ole Katy wyndds clients do not wish to be bothered by your complaints…. it is as simple as that…. These turdbine projects are worth alot of money for the lieberal’s clients…. the government’s clients do not wish to curtail or shut down these projects because they make A LOT of $$$$$$ for their companies at any and all expense…. Combined import and export is over…..
James Gus Speth was an Administrator of United Nations Development Programme/UNDP from 1993-1999. Is a 192 page book. There are some online book sales dealers that have this book available. Note the cost of this project. Has articles from different sources pertaining to Ontario. List begins 2017 and goes back to other years. Download the PDF for members including Canada. Above should be: GGGI/Global Green Growth Institute. Please find attached correspondence and information related to the Huron County Health Board investigation. The investigation was started in March 2016. More than a year later there is still no remedy for those living under turbines. Invited Lecture: Carmen Krogh. “Harm from Wind Turbines: What Has Been Known for Decades”. Wed 7 May 2014. 3:30pm. DC1302 (Davis Center). University of Waterloo. Abstract. Webcast (via “livestream.com”). Slides (pdf). No problemo !!!! We have wind!!! Why is no one giving an update on this crisis? People are waiting to hear how the MOECC will resolve this situation. Those turbines which were recorded by the MOECC to be out of compliance FINALLY are still running! No wonder so many people do not have faith in the process for protection outlined by the MOECC and reinforced by WCO.